We will interact with our clients, patients and community with kindness and empathy. We will conduct ourselves in a moral and responsible manner and treat our clients, patients and colleagues with respect and integrity. 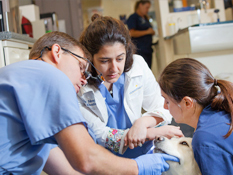 We will provide the highest-quality care and state-of-the-art knowledge in the practice of veterinary medicine. 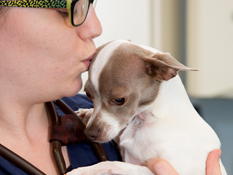 The staff at NorthStar VETS, along with our clients and their family veterinarian, will work as a cohesive unit by recognizing the equal contributions and value of every team member. We are dedicated to exceeding our clients' expectations through timely and effective communication, exemplary customer service, outstanding patient care and promoting a learning environment.